MrSoul waited more than a decade to retrieve the precious clones and seeds he’d stashed safely away. In 2015, he developed a concrete plan to resurrect Brothers Grimm in Colorado. It’s been a long time coming, and lot of work, but we’re overjoyed to be back. 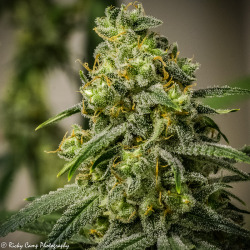 Our faithful followers can be assured that our tradition of stability and reliability continues with the re-release of our Cinderella and Apollo lines as well as strains developed in our new breeding programs. Selectively combining cultivars, according to strict genetic principles, we provide the finest cannabis genetics available. We are able to take this approach because our breeding stock is a rare collection of landrace and other stable cultivars, each representing unique genetics. Using this gene pool, we painstakingly choose and combine males and females in a deliberate program to create hybrid seeds which produce plants consistently displaying the desired characteristics. There’s very little variation; our clients don’t have to hunt through several different phenotypes hoping to find a good one! Brothers Grimm Seeds Es gibt 5 Artikel.